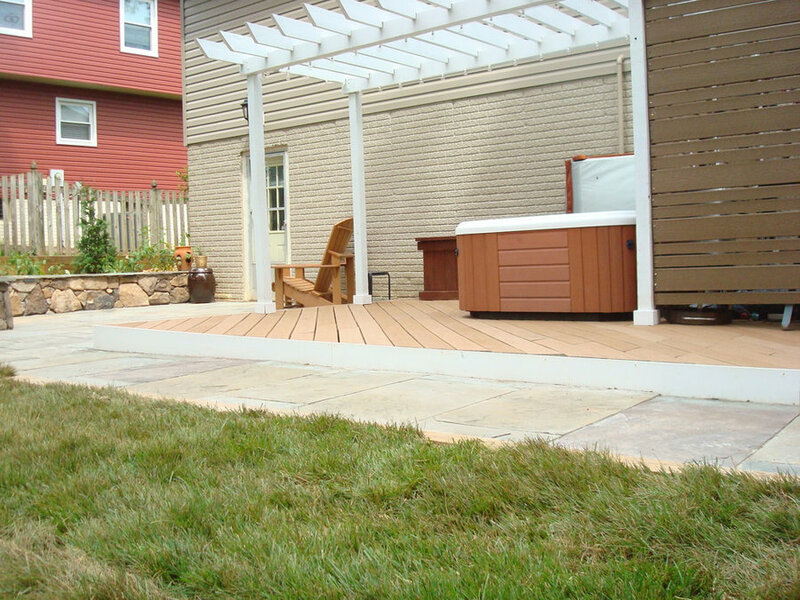 Client had an at-grade wood deck that was rotting and they desired more entertainment space. 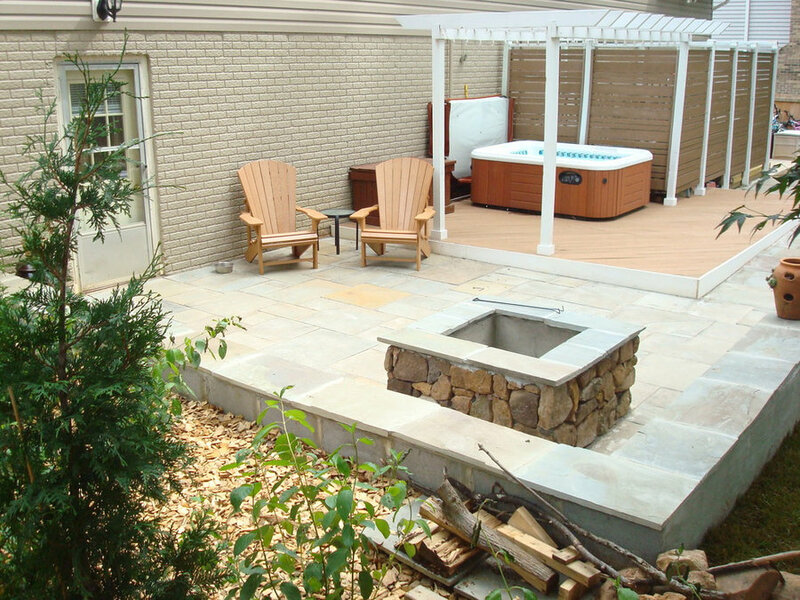 We created a patio setting that included a hot tub, fire pit and seating walls. 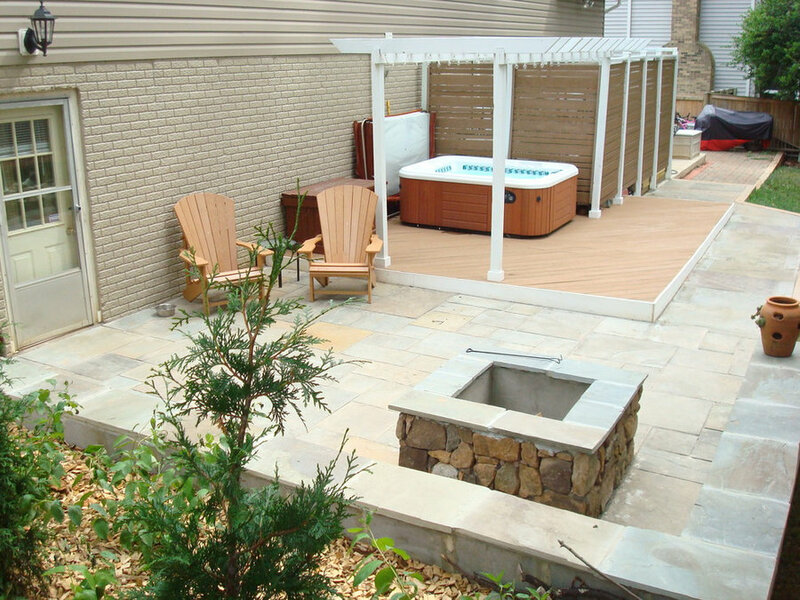 We finished the project with new screen plantings and low voltage LED lighting. 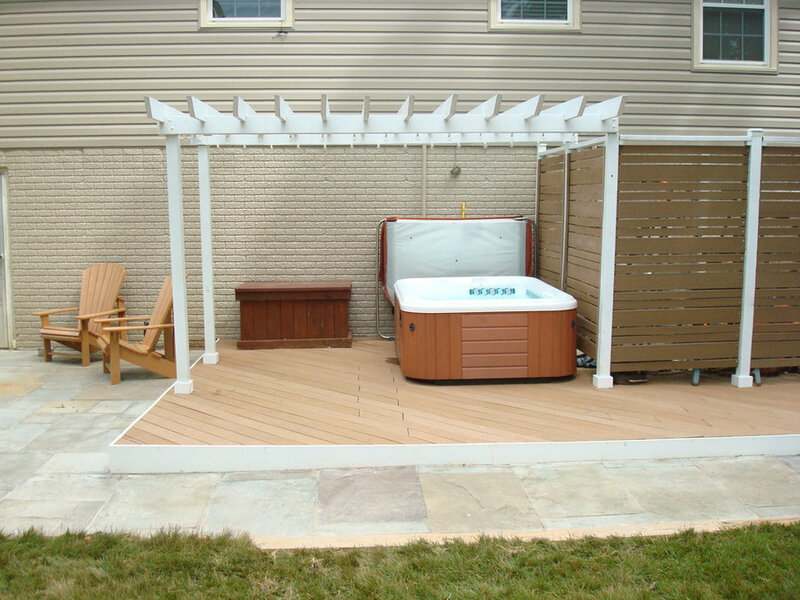 Elevated TREX deck with Spa. White Pergola with globe lights. 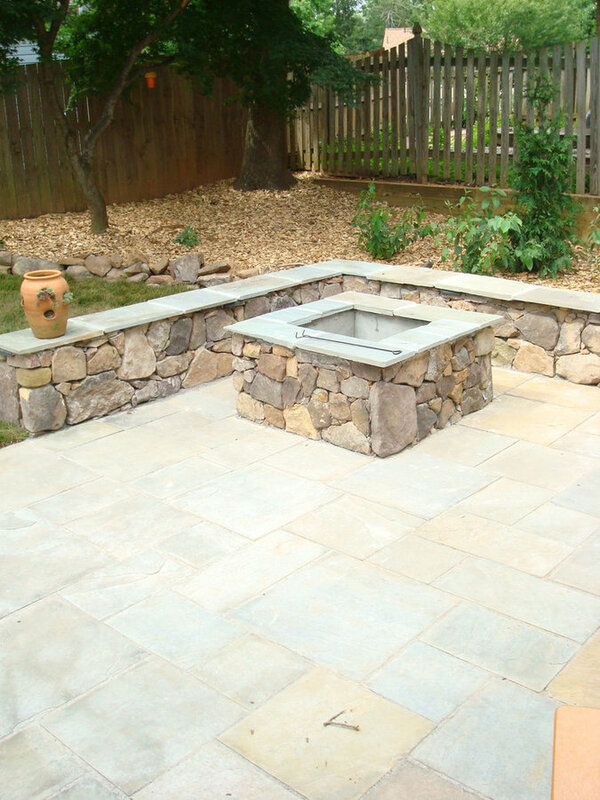 Custom built stone fire pit and seating wall on Flagstone patio. 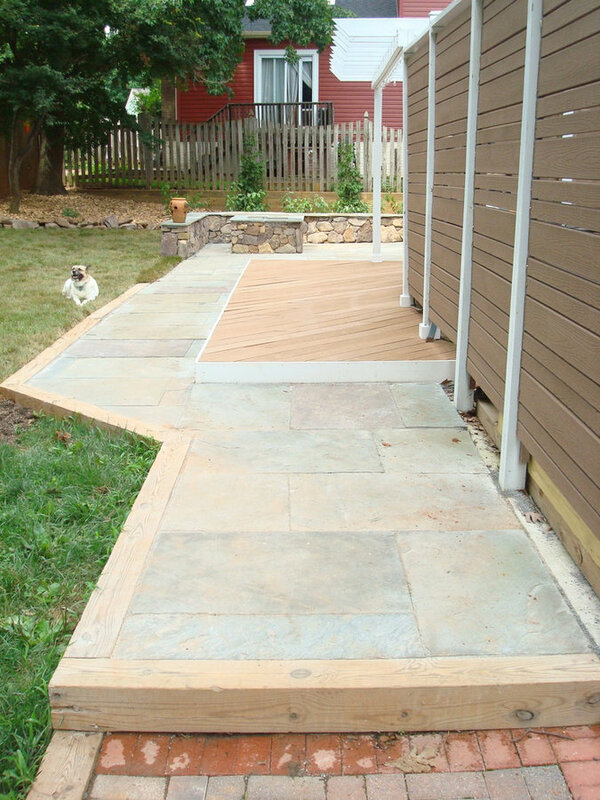 Veneer is Shenandoah Building stone with variegated Flagstone caps. 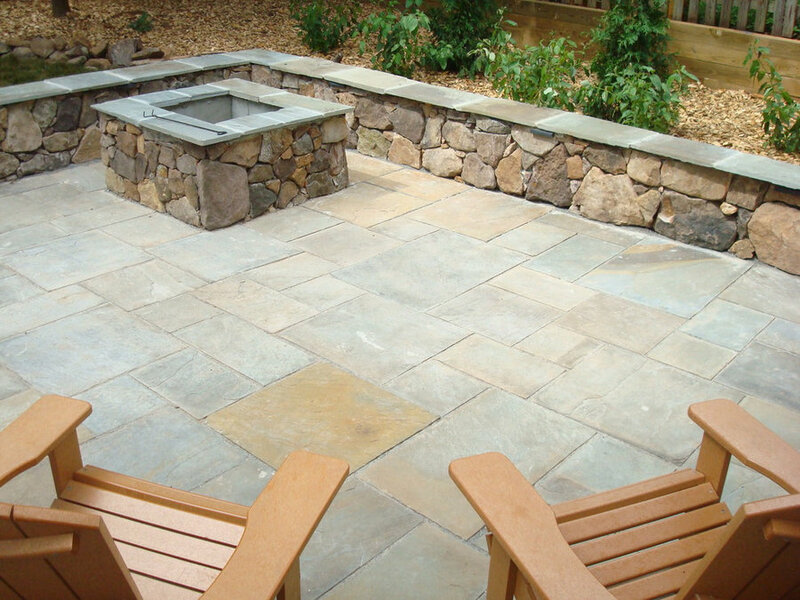 Custom fire pit & Seating wall on flagstone patio. 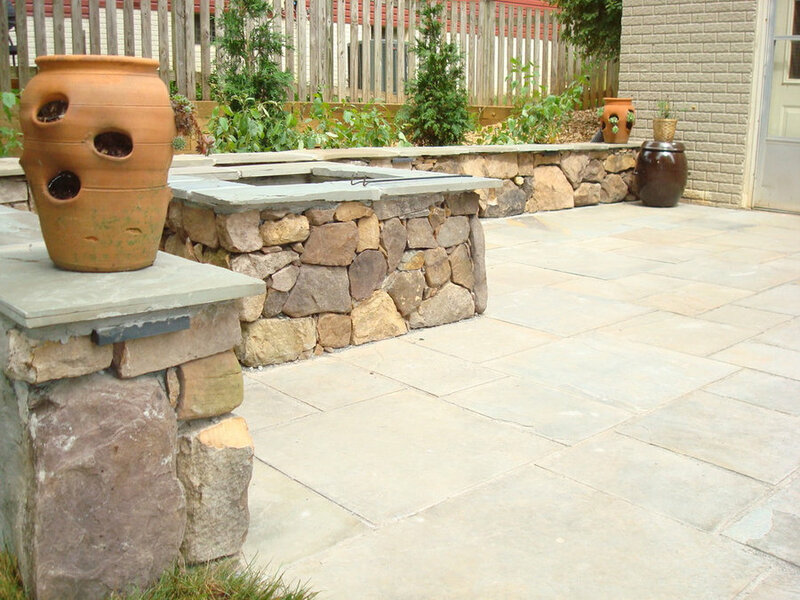 Veneer is Shenandoah Building stone with variegated flagstone caps.LED under cap lighting. 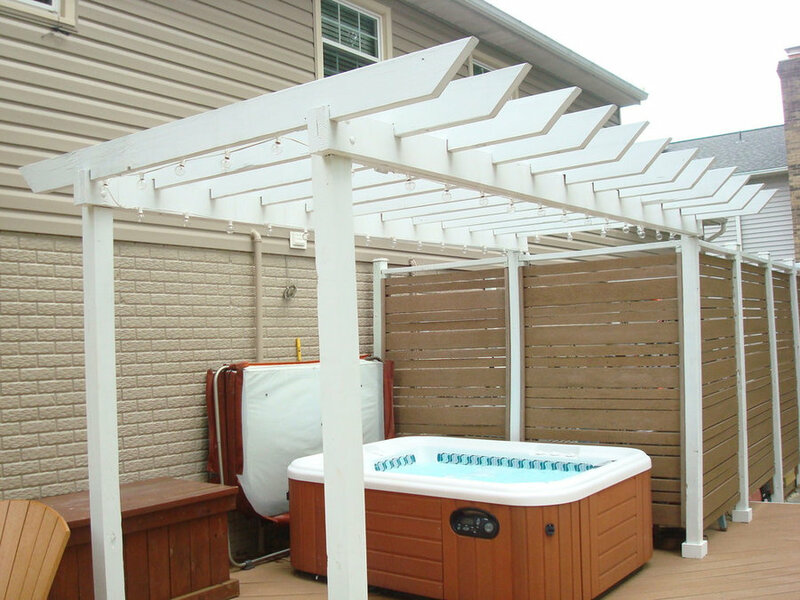 Custom wood pergola, pressure treated lumber, painted white. Globe Lighting mounted to pergola.